← Gaza’s natural gas ownership – Finally it all makes sense – Is Hamas run by the Mossad? 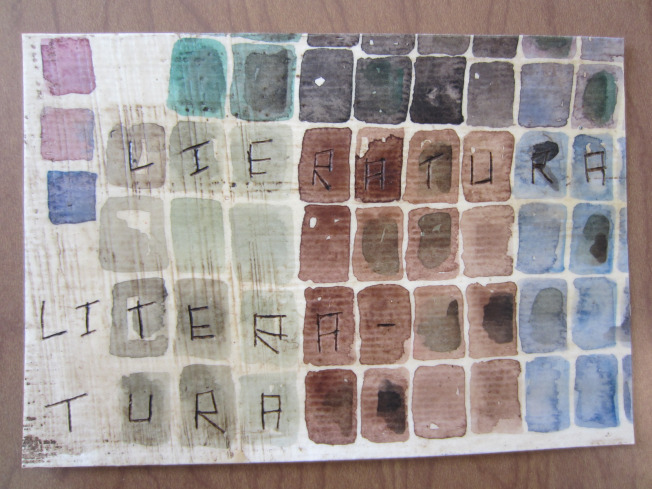 We had several great submissions while I was on vacation, so let’s catch up with more mail art! 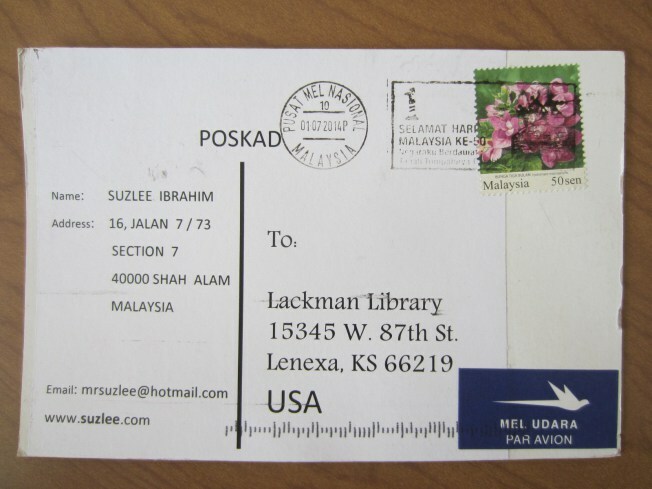 First, from Suzlee Ibrahim in Malaysia. I’ll show both sides of the card because I think stamps, postmarks, and air mail stickers are also interesting! Thank you, Suzlee. Next, our youngest contributor, Elizabeth Schwartz, age 9. 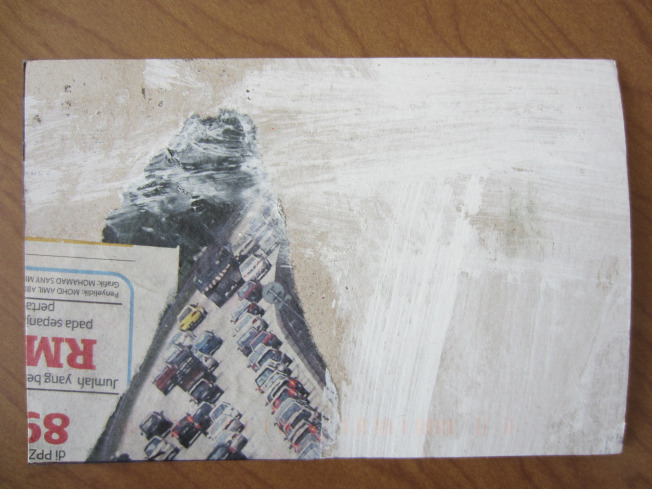 This one is postmarked San Francisco. 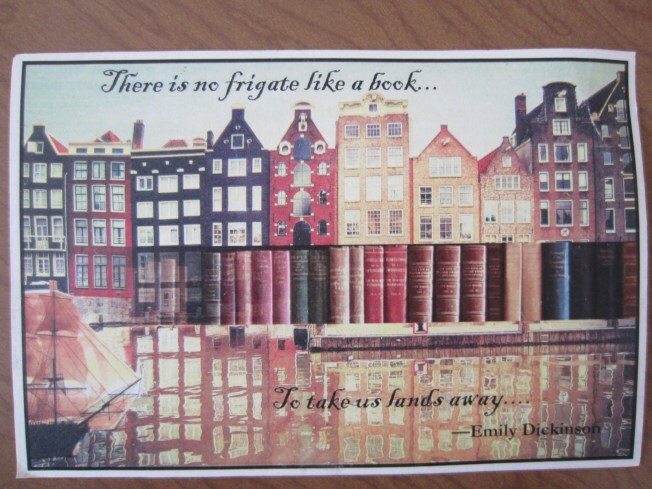 Nice work, Elizabeth, thank you for participating! If any other children are interested in sending their art, we would love to see it! 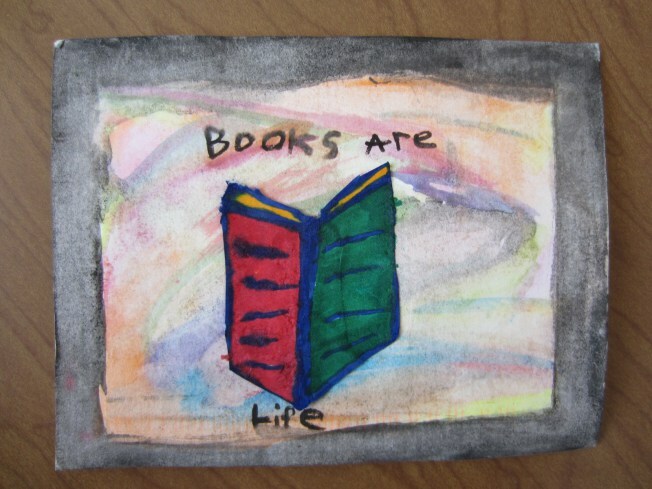 The next one is titled “Book Love” and is from Jill Wiggins, in Austin, Texas. Thank you so much, Jill, and thank you for your description of your process in the message! Our next artist is Consuelo Debiagi from Campinas, Brazil. Lieratura Literatura. The encaustic technique, using wax, will take a polish to preserve the shine. It’s lovely to see in person. Thank you, Consuelo! 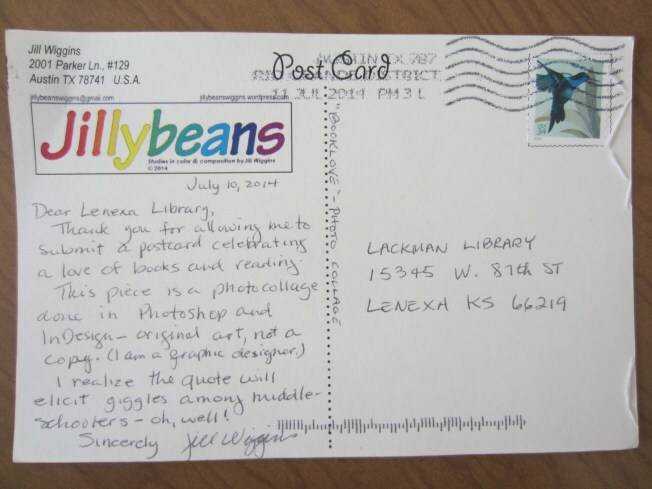 This entry was posted in 2014 and tagged art, culture, Human Behavior, johnson county library, library, library art project, Life, lifestyle, mail art, society, sociology. Bookmark the permalink.